Do You Have A Great Picture? Dogs in costumes are so stinkin' cute aren't they! I don't know about you, but I just can't get enough pictures of them! I haven't seen a puppy dog yet that isn't photogenic. So, why not create a web page about YOUR dog, share pictures of him dressed up in a costume, what type of breed he is, tell us what makes your dog so special...maybe you have a funny story about something silly he does or special training he has. Share your story and pictures with other dog lovers right here on my site. It's super simple to do and only takes a couple of minutes. Trust me, it's totally easy! I can even do it and I'm not so techy. Ohhh C'mon - You know you wanna brag, right? I'll even bet you have at least one totally cute picture you can share, well maybe two. . .
Start filling in the box just below! Put A Title To Your Picture Here - this can be your dogs' name, a funny caption or whatever you like. 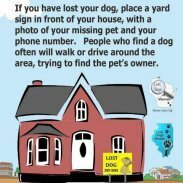 Tell people about your furbaby here - you can add just a caption or go to town with a full blown story- the choice is all yours..but you know you wanna brag right? To start uploading, click the "Browse" button and find one on your computer. Select it and click on the button to choose it. Then choose "click here to upload more images" link if you want to add up to 3 more images. 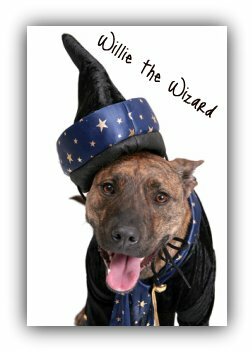 Just click on a link below and check out other Dogs In Halloween Costumes. They were all uploaded by other visitors on this page. Now let's see a picture of your furbaby!